UK Prime Minister Theresa May has told ministers that a third vote on her Brexit withdrawal deal might not happen if there is not enough support. The letter was leaked by a BBC reporter on Twitter. 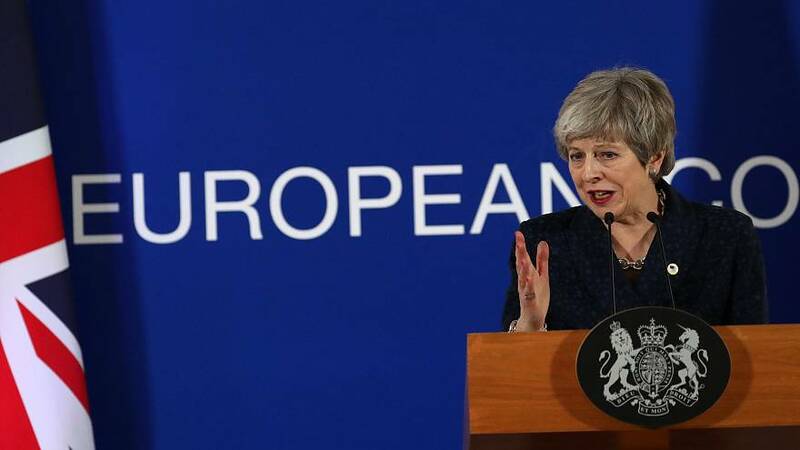 After a two-day summit in Brussels, May secured a delay to the original departure date of 29 March to 22 May on the condition MPs approve her deal. If May fails to win the MPs' backing, the UK will have until 12 April to propose a new plan, or the UK could face a chaotic departure from the bloc. The prime minister's Brexit deal has already been overwhelmingly rejected by MPs twice. She now has to change the minds of 75 or more MPs to get her deal approved, which she is due to bring back to the House next week. After appearing to blame MPs for the Brexit chaos in a speech on Wednesday, she could be hard pressed to get them on her side. On Thursday, she appeared to change her tact and appealed to MPs. May has said she will talk with MPs in the coming days. However, the withdrawal agreement might not even be allowed to be brought back to the parliament after Commons Speaker John Bercow previously ruled another vote could not be held without "substantial" changes to the deal. Read more:What's in Theresa May's Brexit deal and why is it so unpopular? A key amendment has been tabled by MPs Hilary Benn, Sir Oliver Letwin, and Dominic Grieve, which if approved, would allow ministers to take control of the House of Commons business on Wednesday to hold a series of votes on different Brexit outcomes. Pilling on further pressure on May, hundreds of thousands of people are expected to march through central London on Saturday and call for a second referendum. An online petition, which demands May revokes Article 50 and stops Brexit has received over 3.8 million signatures in two days. EU Council President Donald Tusk said in Brussels on Friday that until April 12 "anything is possible", which included a longer delay or even cancelling Brexit altogether. Adding, "the fate of Brexit is in the hands of our British friends. We are, as the EU, prepared for the worst but hope for the best. As you know, hope dies last." But one senior EU official told Reuters a no-deal crash out of the bloc looked more likely. “We are in general well prepared. But we can use these few weeks to prepare more for the rather likely no deal scenario,” the official said.